The mini breakout cable is the ideal fiber to the desk solution for direct connector fitting. Due to its compact design it is easy to install, where space is limited it is perfect and economic solution. The 900µm tight buffers are individually colored and surrounded by glass yarns. Sheath: LSZH, green. 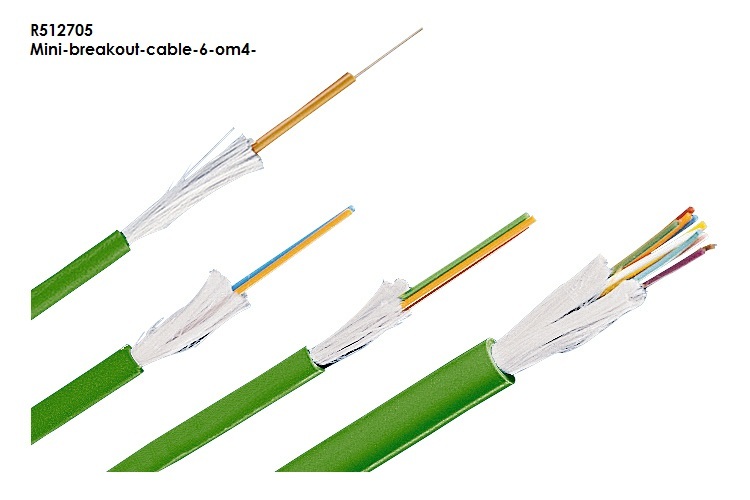 Fiber: multimode (MM) G50/125.